Arcadian Shores Golf Club combines the best of Mother Nature with the best of modern golf courses layouts. 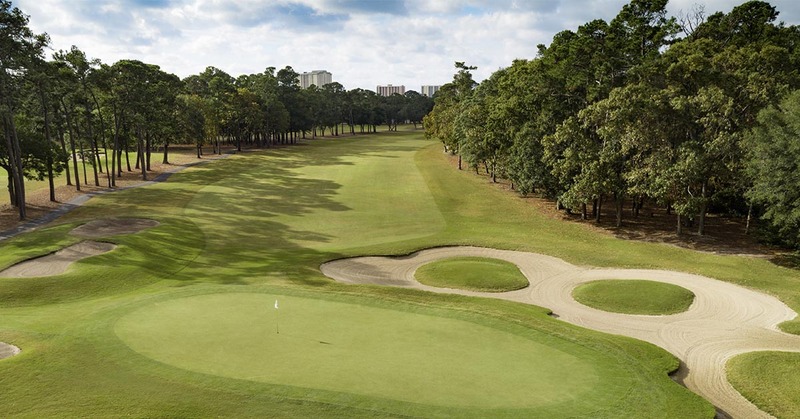 This results in some of the best golf in Myrtle Beach. 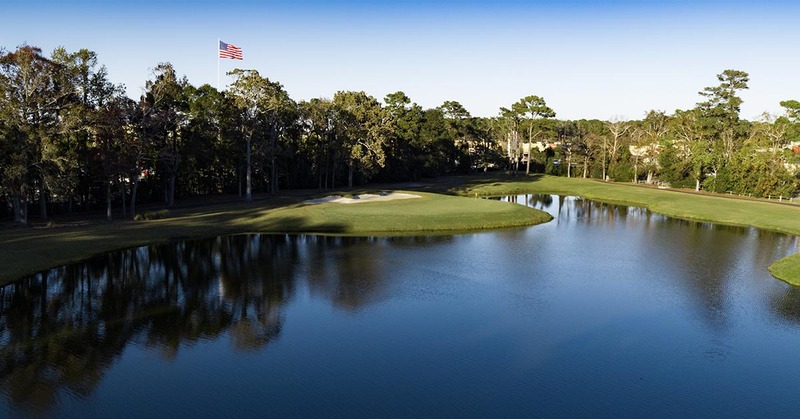 Arcadian offers enticing lakes, deviously placed bunkers and tree-lined Bermuda fairways. In addition, it also offers distinctive contouring to present the ultimate in golf challenges of man and nature. The course features new Sunday Ultra Dwarf greens with 64 creatively-placed sand bunkers. It also features natural lakes woven in and out of the fairways to make this a challenge you will long remember. The par 3 second hole, and the par 4 thirteenth hole are both favorites holes of the local golf community. Designed by Rees Jones and opened in 1974, Arcadian Shores Golf Course accommodates any level of golfer with its selection of five tee boxes. Arcadian Shores measure 6857 yards from the Championship tees, with a course rating of 73.2 and a slope of 137. The course also features a practice facility, The Hilton Golf Academy. A New clubhouse facility was built in 2017 to replace the original, which was built in 1974. The new clubhouse was built in a Lowcountry style, expanding from its previous size to over 3,500 square feet. The new clubhouse features an eighteen foot wrap-around porch, with an overlook of the 18th green. This showed the ownership’s commitment to continue to provide a championship golf experience. 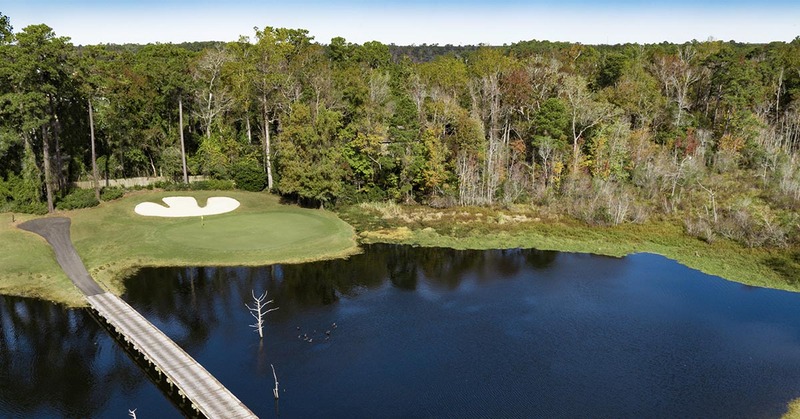 Come try a truly exceptional golf course in South Carolina at Arcadian Shores Golf Course. 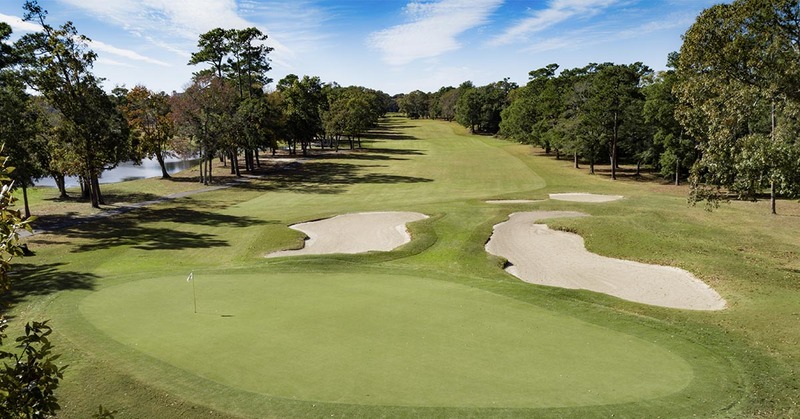 Selected by The Sun News’ expert golf panel for holes #2 and #13 as part of the “Dream 18”, a compilation of the best 18 holes of golf in Myrtle Beach.